We are the Vancouver Emergency Community Telecommunications Organization, more commonly known as VECTOR. An independent non-profit society, VECTOR is the Amateur Radio program for the City of Vancouver. Bringing together the power of ordinary citizens and amateur radio to enhance community resiliency for times of emergency and disaster. 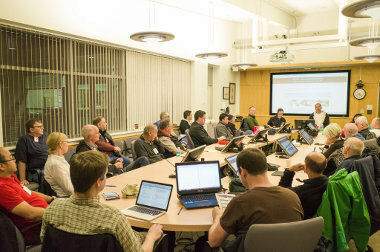 VECTOR exists as the organizing vehicle for members of the amateur radio service to build auxiliary emergency communications capability to enhance community resiliency in the City of Vancouver. Our mission is communications preparedness and the most important element of readiness is people, not technology. Through recruitment, training and exercise we develop our diverse volunteer team to plan and prepare for those times when we are called upon to serve. British Columbia enjoys a much higher rate of growth in Amateur Radio operators than the rest of the country and along with other local organizations VECTOR is proud to be a part of that. We’ve become a leading provider of Amateur Radio license (certificate of proficiency) training in British Columbia teaching 75 to 100 students annually. What does an amateur radio emergency communications organization do? Principally we plan and prepare. While that sounds simple there’s a good deal of thought and effort that goes into this and ample opportunity for people of all backgrounds to get involved. VECTOR designs, implements and maintains an emergency-oriented voice and data communications network across the City of Vancouver. We incorporate ideas from the wider world of the amateur radio community and support the in-house development of new technologies and approaches. We do not work in isolation. 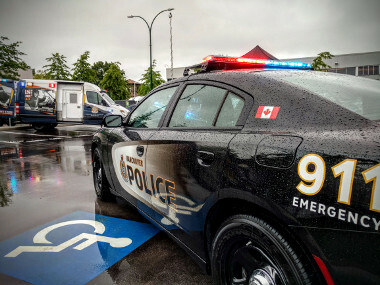 Our efforts are aligned through close partnership with the City of Vancouver Office of Emergency Management, Vancouver Police Department, Emergency Social Services and Vancouver Fire & Rescue Services. We partner with and support the efforts of other emergency communications organizations and aim to be a constructive voice in the Canadian amateur radio community. When not tasked by the City of Vancouver VECTOR resources can be made available to assist communities elsewhere in the province, provide inter-agency bridge communications, wide area communications relays, and the human resources needed to staff communications positions. VECTOR maintains relationships with other emergency management and response organizations including Emergency Management BC (EMBC), Canadian Red Cross Emergency & Disaster Services, Salvation Army, North Shore Emergency Management Office, City of Richmond Emergency Program, LMERC, the Lower Mainland Emergency Radio Coordinators and other agencies and non-governmental organizations. We are also proud of our membership in and working relationships with other Amateur Radio organizations including Telephone Pioneers Amateur Radio Club, the UBC Amateur Radio Society, Radio Amateurs of Canada, BC Amateur Radio Coordination Council, BCWARN and many others.